U.S. environmental groups declared victory yesterday with the resignation of U.S. Environmental Protection Agency Administrator Scott Pruitt, following months of unremitting scandal. But they’re already gearing up for a fight against his replacement, Acting Administrator Andrew Wheeler, a veteran coal lobbyist who Politico describes as “smarter and more plugged in to Washington than Scott Pruitt was”. While Wheeler will take over EPA on an acting basis Monday morning, Pruitt’s permanent replacement will have to be confirmed by the U.S. Senate. Some news reports yesterday suggested that may not happen before mid-term elections November 6, when there is at least a passing possibility of Democrats regaining control of the chamber. Trump reportedly held on to Pruitt for as long as he did because the former Oklahoma attorney-general, who previously made a name for himself by avidly suing to block the Obama environmental agenda, was also one of the most effective Cabinet secretaries in implementing Trump’s priorities, including attacks on climate policy, basic science, and clean air and water standards. In the end, he became an embarrassment to Trump as well as a disgrace to his country. “The spendthrift EPA chief has been a political liability for the White House for months, drawing the attention of federal investigators with scandal after scandal, many of which were linked to his lavish spending of taxpayer money and the use of his position to enrich his family,” the Times notes. “The transgressions include Pruitt’s deal with the wife of a top energy lobbyist for deeply discounted housing, huge raises he gave friends against the instructions of the White House, and his penchant for flying first class. Pruitt used his office to try to secure his wife a Chick-fil-A franchise and also enlisted aides to try to help her land lucrative work elsewhere. He had a $43,000 phone booth installed in his office.” The only Pruitt investigation completed so far concluded that that phone booth broke federal spending laws. Milbank introduces a new unit of measure for the duration of Pruitt’s tenure. 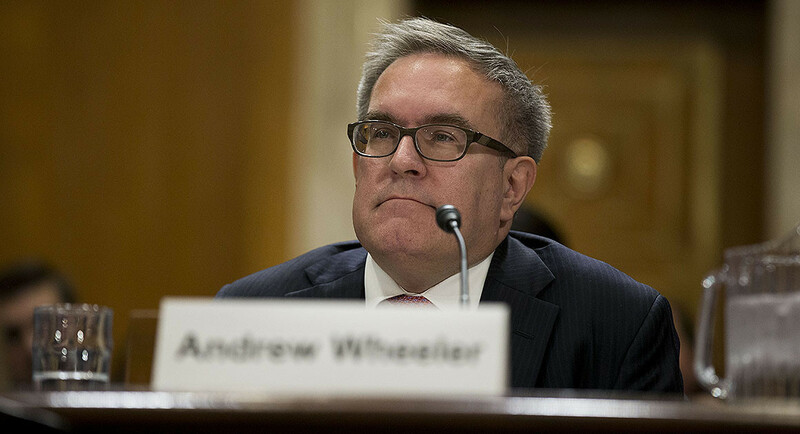 But much as the U.S. environmental community is taking a victory lap for the campaigns and advocacy that helped push Pruitt out the door, Wheeler will be a different sort of challenge. “The impression he creates is very personable, respectful, good listener,” said one EPA employee. “He’s very interested in being involved in the substantive issues. He’s ready to get involved in our issues.” But there’s little doubt that his job will be to advance the radical deregulation that defined Pruitt’s tenure. “Most of the time, the things that go on in the federal government, however consequential they may be, seem to bore Americans to tears,” Terstein writes.. “(Just look at voter turnout stats for midterm elections.) Whether you liked it or not, Scott Pruitt made the public pay attention. Fancy lotions, tactical pants, Chick-Fil-A? That’s drama. Secret phone booths? A 24/7 security detail? That’s intrigue. Getting your aides to pay for your hotel rooms? That’s petty. Pruitt was a veritable scandal-factory of his own making, and the wrongdoings were so juicy we literally couldn’t look away! I mean, the dude spent over 1,500 taxpayer dollars on a dozen fountain pens. Pens! “As time went on, it began to seem like Pruitt didn’t actually care about how many bridges he burned, how many federal investigations were launched, or even whether other members of the GOP were calling for his resignation. But we cared! The scandals were so egregious, so bizarre, so shallow and grasping, that people kept digging and digging to see what else the guy was up to. And each ethical misdeed focused attention on the work he led: dismantling decades of environmental regulations, cutting EPA staffing numbers to below Reagan-era levels, and striking mentions of climate change from the agency’s website. “People got mad! They marched, wrote letters, signed petitions, and sent the EPA multiple copies of Global Warming for Dummies. “No wonder the administration rails against ‘fake news.’ Real journalism was able to take down a Trump loyalist.